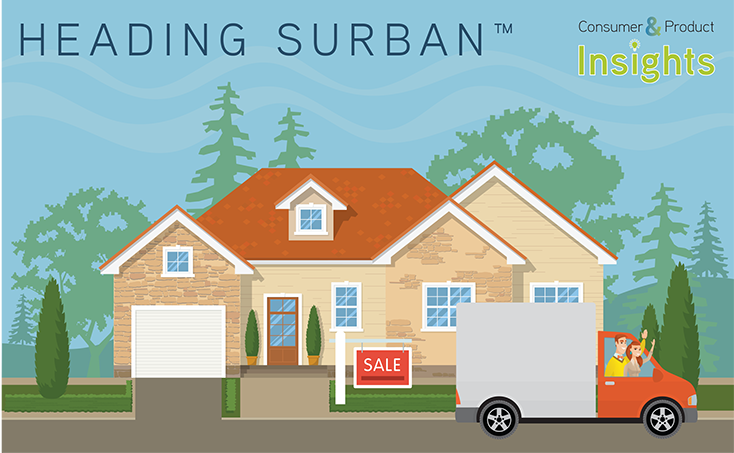 The residential construction industry is shifting away from the suburban template that exploded in popularity in the 1950s to a new template we call surban™. In the analysis below, we will show you some thriving new home development examples and survey statistics that demonstrate the strong consumer shift. Both consumers and city planners have changed their preferences away from a large lot, auto-centric environment to one where housing, employment, and retail coexist in the suburbs. Societal shift: A post-war baby boom drove an outsized demand for family housing. New technology: The mass production of affordable, reliable automobiles made suburban areas accessible. A roaring economy: Decades of strong GDP growth, driven in part by a doubling in the percentage of women in the workforce, fueled a growing American middle class. Government investment: Significant highway/transportation improvements made commuting possible, and the rise of mortgage programs at Fannie Mae, Freddie Mac, and the Federal Housing Administration contributed to homeownership rising from ~45% to ~65%. Auto-centric. Because people drove for everything (including work, school, groceries, church, and entertainment), homes were frequently garage dominant, and communities were almost without exception dependent on cars. Impersonal. Homes were based on an isolated family unit rather than on social connections, including fences for personal backyards and gated communities. Government investment. Cities all over America began reinvesting in their urban core. The investments took decades, but by 2010 many American cities—from New York to San Diego—were more thriving, vibrant, and safe than they were a few decades earlier. Economic disaster. The Great Recession delayed family formation and reduced homeownership. Societal shift. 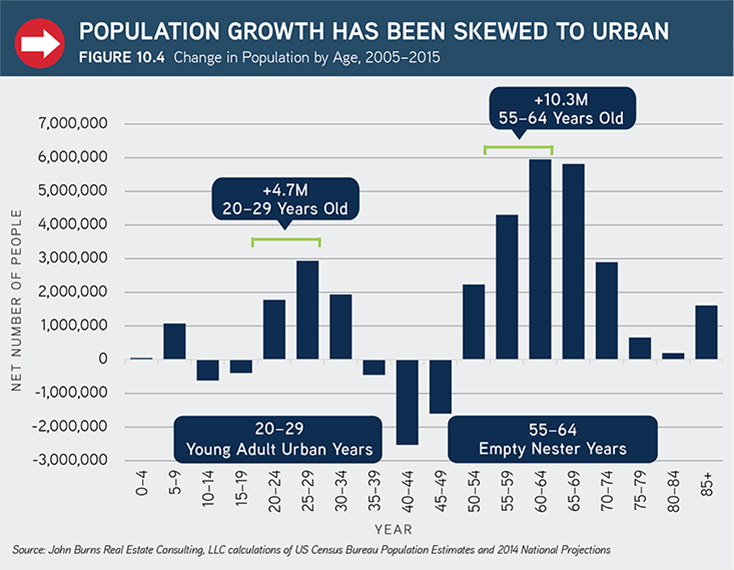 Between 2005 and 2015, the age groups that tend to skew urban (young adults between 20 and 29 years old and empty nesters between 55 and 64 years old) grew by 15 million people. This urban wave started an organic overhaul of the traditional suburban model. While urban living has some exciting advantages such as walkability, ample and convenient entertainment, energy, and interactions, it also has some significant drawbacks such as poor schools, more crime, expensive parking, very high housing costs (rent or buy), and a higher cost of living. Because of these drawbacks, young adults, like the generations before them, are heading to the suburbs to start their families. However, they’re working to take the best of urban with them. Witness the birth of surban living. Often referred to as mixed-use, surban describes a suburban area with an urban feel, blending the best of urban living (characterized by ample restaurants, public transportation, walkability, bikeability, shopping, and entertainment) with the best of the suburbs (lower prices, lower crime, and better schools). These areas also tend to be more conducive for socialization than pure suburban communities. When balancing distance, size, and price, shoppers tend to prefer a location somewhere between distant locations with lower prices and locations closer to work and retail (leaning more towards the latter). New home shoppers want to live in a place near retail, entertainment, and activities but still want to balance this with space to get away from it all. Only 20% said they would commute longer for more value. 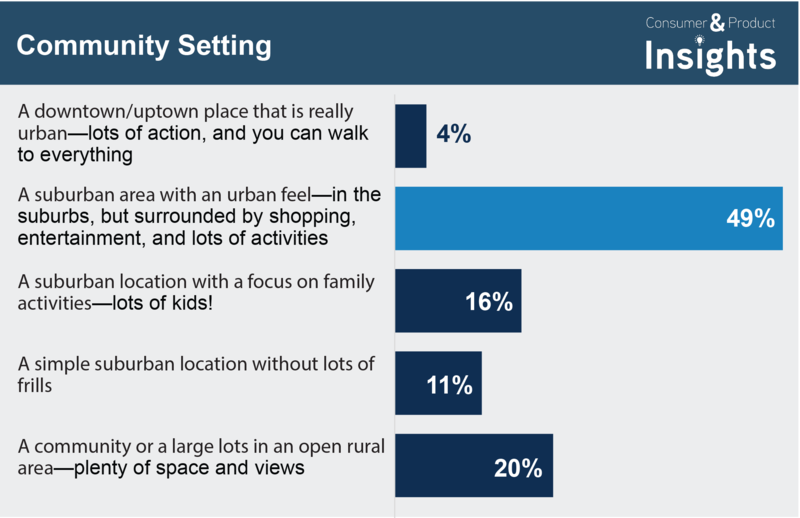 When asked specifically about community setting, 49% of all new home shoppers want a surban location (defined in the question as “a suburban location with an urban feel—in the suburbs, but surrounded by shopping, entertainment, and lots of activities”). This is a far greater share than that of the other four options we offered: downtown (4%), family-oriented suburban (16%), suburban with few frills (11%), and a large lot rural area (20%). 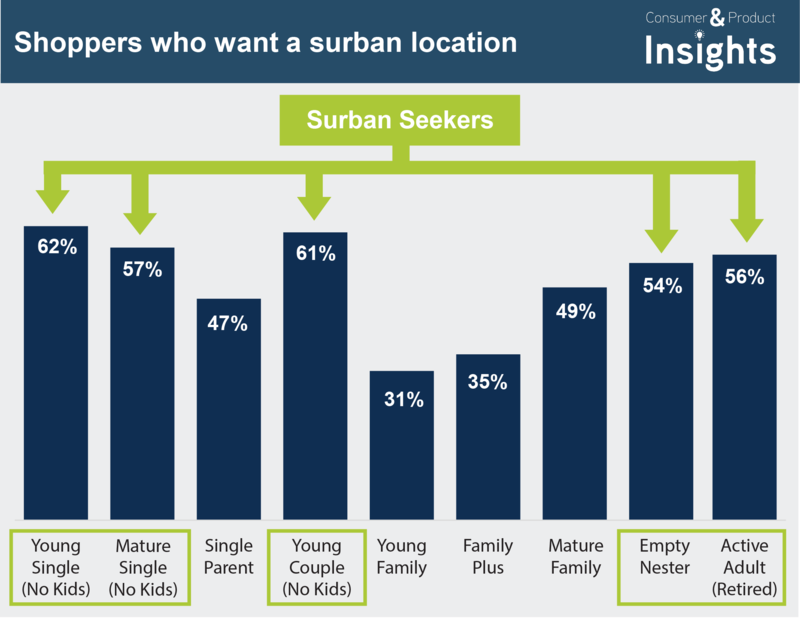 Surban areas are especially popular with non-family shoppers, but even 30%+ of family new home shoppers are still interested in surban areas, a share that rises as the children get older. The following examples of surban communities come from our DesignLens™ database, a resource for information about innovative community and product design. 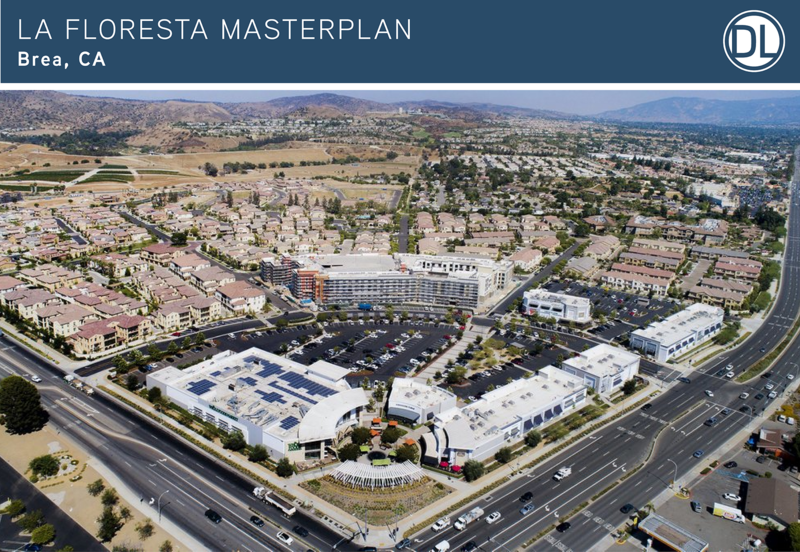 La Floresta masterplan, Brea, CA: La Floresta includes a mix of higher-density housing and an integrated retail center with restaurants, offices, and retail, including a large Whole Foods. Clusters, small-lot detached, and attached homes give this community a total net density of approximately 9 homes per acre. A unique feature of this surban community is its age-qualified section. 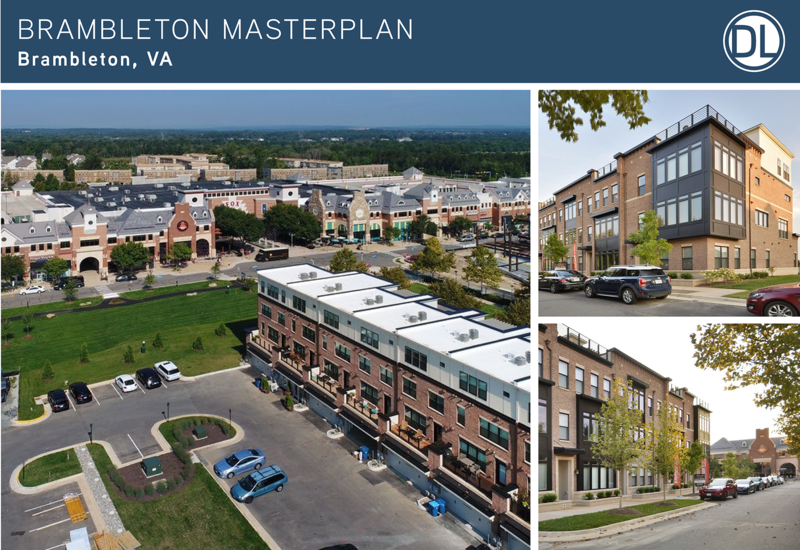 Brambleton masterplan, Brambleton, VA: What started as a more suburban community has shifted to have a more surban feel due to its town center and strategic placement of higher-density townhomes. The walkable community gives residents a lot of what they need without ever having to leave the community, including retail, entertainment, and outdoor gathering areas. 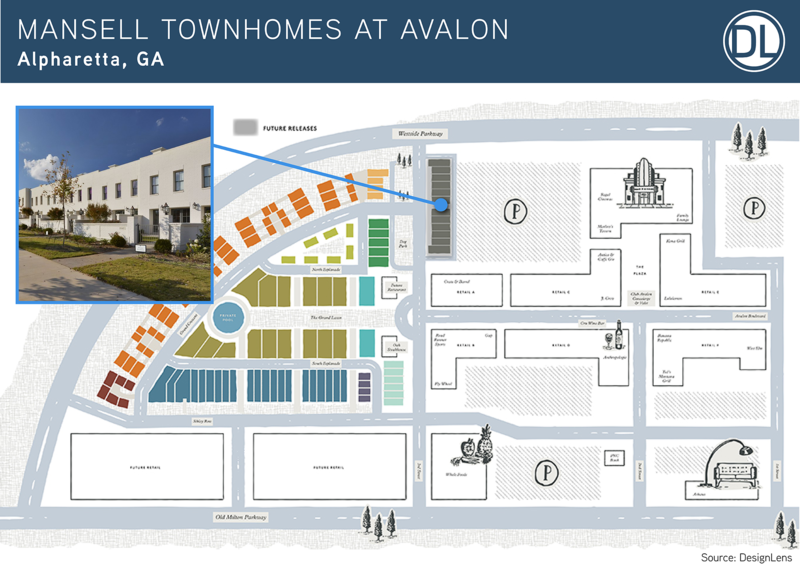 Avalon masterplan (highlighted in the Mansell Townhomes feature), Alpharetta, GA: Located in a very suburban city outside of Atlanta, Avalon integrates a massive retail area, office spaces, apartments, and a whole section of higher-density for-sale housing. The developer created a strong connection between the for-sale housing and retail center, welcoming residents to come and visit. The Avalon town center is popular with residents of the community as well as the surrounding area and can be found filled with people even when all the stores are closed on a holiday. As John Burns and Chris Porter note in Big Shifts Ahead, “The suburbs altered the American landscape—literally, socially, and economically.” Now, surban areas will do the same. As a higher premium on experiences and activities increases the appeal of urban areas, and life stage and price concerns pull people to the suburbs, people will continue to desire the perks of urban living in suburban environments. 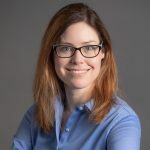 If you are planning a new community or want to take advantage of the shifting housing landscape, please contact our consulting leaders or any of us below. If you have any questions, please contact Jenni Lantz, Manager at (720) 328-1530 or by email. 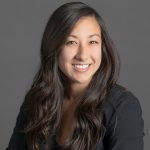 If you have any questions, please contact Mikaela Sharp, Consultant at (949) 870-1203 or by email.